Much like dalliances with submarine aircraft carriers in the 1920s and ’30s, the US Navy also experimented with flying aircraft carriers. Perhaps this is where Marvel Comic’s writers got their inspiration for S.H.I.E.L.D’s helicarrier. Launched in the early 1930s, the USS Akron and the USS Macon were among the largest dirigible airships in the world. 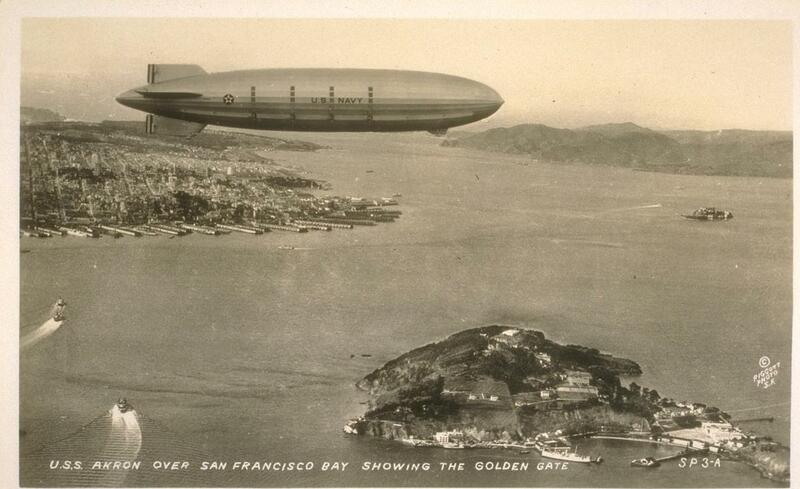 Powered by eight 560 hp engines, the airships could reach speeds up to 83mph and had a range of 12,180 miles, Such range gave the airships the potential ability to act as the eyes of the US Navy’s battle fleets as well as assist in search and recovery missions. Both the Akron and the Macon were also designed with the ability to carry, launch and recover biplane fighter and reconnaissance planes. 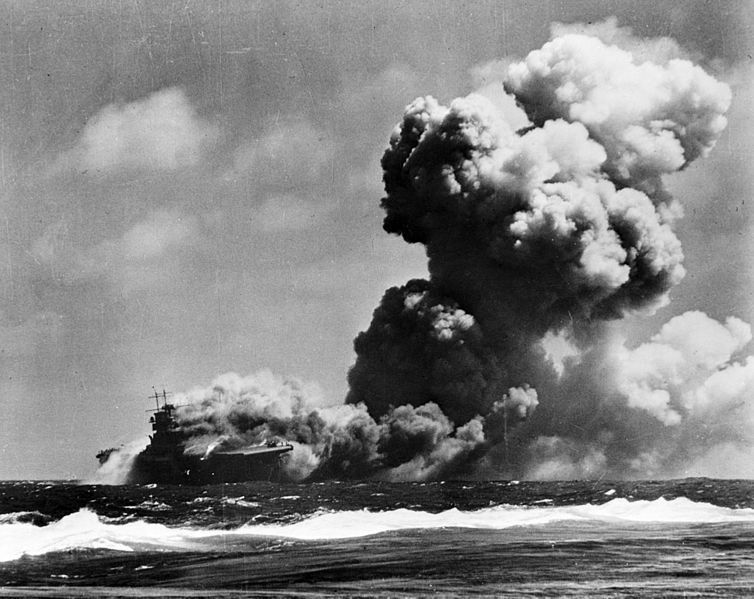 Thus they became the US Navy’s first flying aircraft carriers. Unfortunately for proponents of dirigibles as well as flying aircraft carriers both the Akron and Macon were accident prone, much of it from the relatively new design of the airships and the inexperience of the crews operating them. Just past midnight on the morning of April 4, 1933 the Akron was caught in stormy weather off the New Jersey coast. 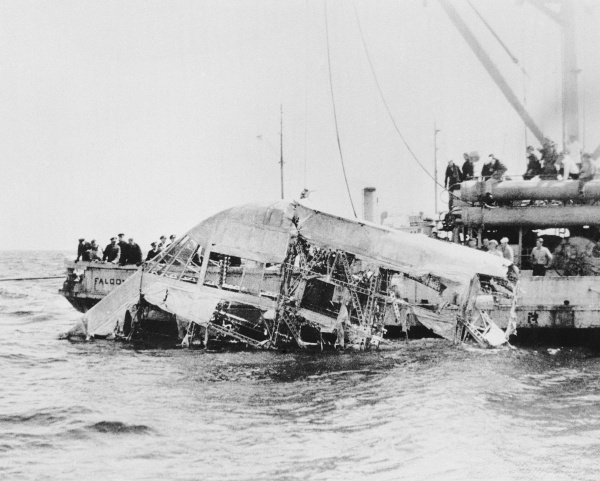 A combination of updrafts followed by sharp downdrafts resulted in collision between the sea and the dirigible’s lower fin. The airship quickly became uncontrollable and crashed into the stormy Atlantic. Sadly 73 of the 76 officers and crew aboard were lost before, in an eerie reversal of events at Lakehurst, NJ just a few years in the future, a German merchant vessel was able to quickly arrive on scene and rescue survivors. The US Navy and Coast Guard dispatched multiple vessels to hunt for survivors, but one of the rescue vessels, the blimp J-3, was herself lost with the death of two men. A subsequent investigation resulted in the Macon being equipped with additional life preservers and rafts which were put to good use two years later when Macon crashed into the Pacific Ocean off the California coast with the loss of only two men. 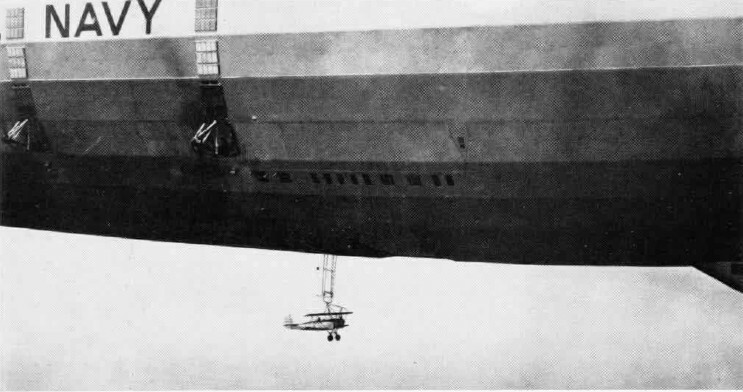 The loss of the Akron and the Macon essentially ended the US Navy’s experimentation with dirigible airships and flying aircraft carriers. 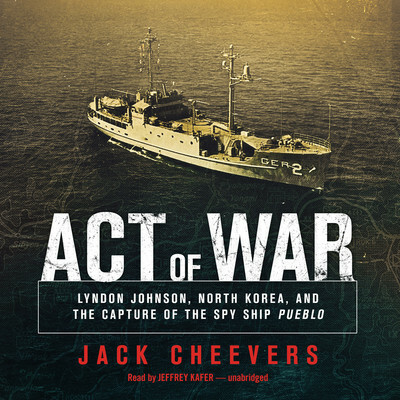 While the US military has flirted with dirigible airships in the 21st century, nothing has come of these efforts and, for the moment, flying aircraft carriers exist only on the pages of comic books.